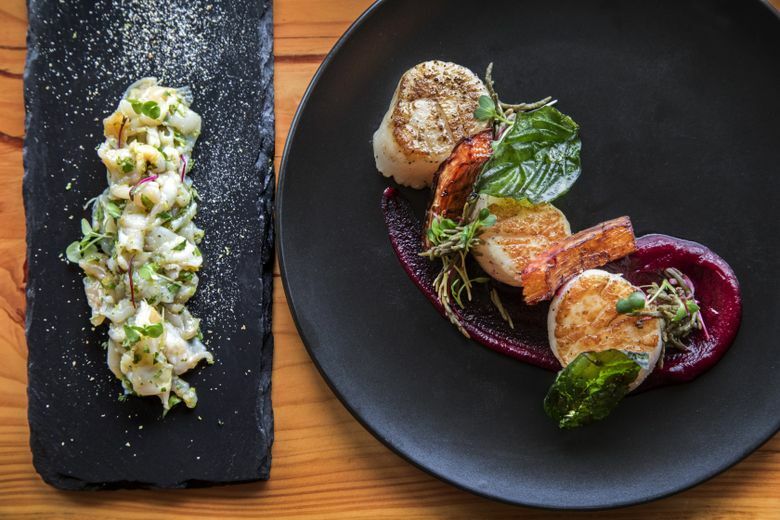 DESTINATION DINING: If you haven’t been to Chelsea Farms Oyster Bar yet, an outing to Olympia should be in your future, for it is as lovely as Seattle’s loveliest. 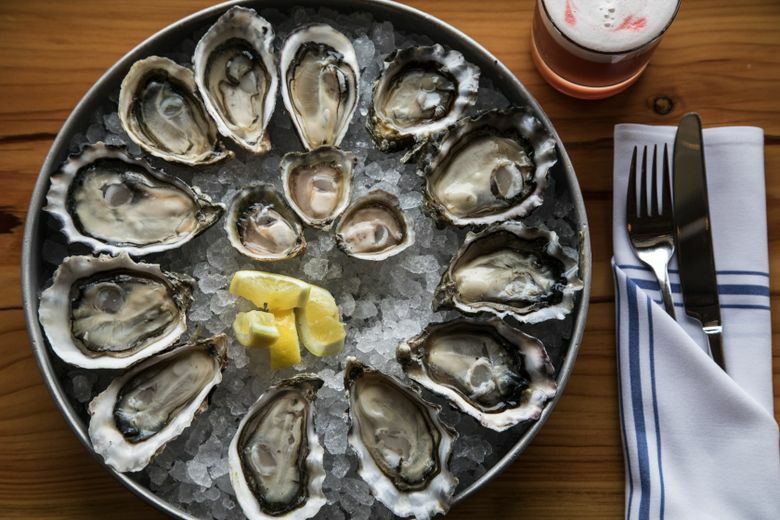 IF YOU LIVE in Seattle and love oysters, you’ve probably eaten your way through all the local favorite places. There’s the pretty, airy Walrus and the Carpenter; the salty, divey Emmett Watson’s; the cozy, cabinlike White Swan; the shipshape, brass-rail tradition of an Elliott’s happy hour (or three). Old-school Shucker’s has its charms, or you may have their oysters ferried out into the posh Fairmont Olympic lobby; the big oyster bar at the Brooklyn gets properly busy and loud, and the martini glasses have a funny Z to their stems. Bar Harbor serves East Coast oysters, too (and excellent lobster rolls); Frank’s Oyster House is a quintessential neighborhood place; Little Gull is Westward’s sweet spot; Taylor Shellfish Farms has multiple outlets around town (and one in Bellevue, too). 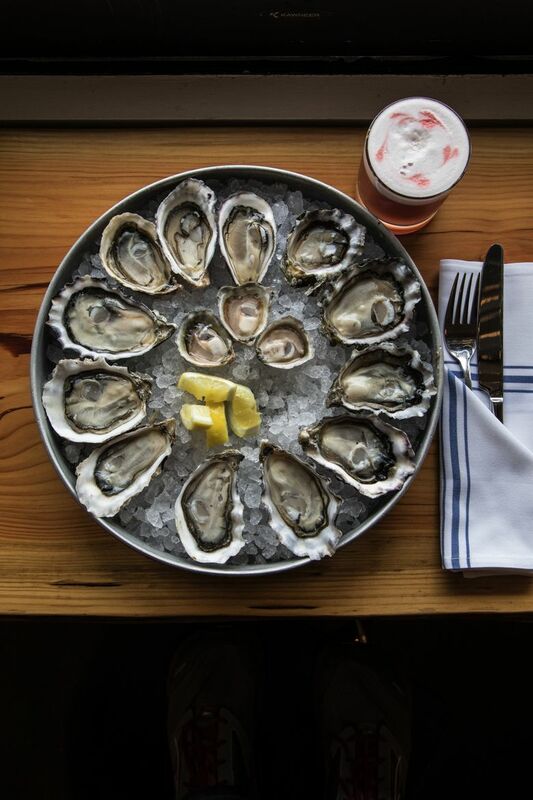 And if you live in Seattle and really love oysters, you’re willing to seek them out elsewhere. Maybe you’ve tried the various offerings northward along Chuckanut Drive. Hopefully, you’ve made it over to the Hama Hama Oyster Saloon. 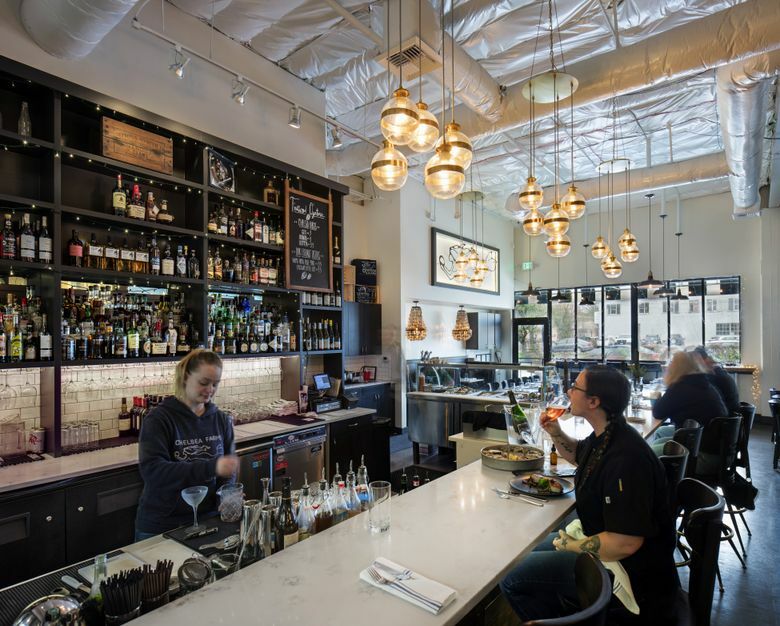 If you haven’t been to Chelsea Farms Oyster Bar yet, an outing to Olympia should be in your future, for it is as lovely as Seattle’s loveliest. Chelsea Farms is located on Olympia’s Eld Inlet, meaning the distance between oyster beds and oyster bar is just 5 miles, as the seagull flies. Sister-and-brother co-owners Shina Wysocki and Kyle Lentz grew up on the oyster beds; their parents started the operation 30 years ago. Asked whether it’s safe to call the company very small, Wysocki laughs and says yes — the whole family helps out. The biggest thing that’s happened at Chelsea Farms lately was a visit from Ozzy Osbourne, who somehow located Chelsea online last summer and decided that he wanted to come “catch some oysters.” In case your level of bivalve know-how is Ozzy-equivalent, oysters are gathered from the beach at low tide; they don’t exactly flee. “It’s pretty easy,” Wysocki says, laughing. Chelsea Farms Oyster Bar has been Wysocki’s dream since she attended culinary school in 1997. Her sister-in-law picked out the oyster-shell chandeliers before they even signed the lease. Her husband, a contractor, did the build-out of the space, which is lodged, pearl-like, in the back of Olympia’s 222 Market. The interior — Wysocki designed it herself — is warm and light and uncluttered, with quartz and Douglas fir countertops. There’s the outline of a mermaid, bearing an oyster-shaped gift. The two oyster-shell chandeliers hang above twinned, inset booths for two, clearly the lucky date spots. You won’t hear any Ozzy here; the music runs more to Al Green. Some of the most prized oysters nowadays are grown suspended in mesh bags, where the tide’s flow tumbles their rough edges smooth and makes for deeper-shaped shells. Chelsea Farms’ aptly named Gems are tumbled, and they’re the perfect starting point for your dozen on the half-shell: a clean-tasting classic, mild and slightly creamy, near-sweet. The Bonitas ring more saline, bigger in size, in flavor and in richness. Save the Olys for last: The only native species of oyster hereabout, they’re little jewels, soft in texture but slightly minerally in taste, tiny but mighty. It wouldn’t be a bad idea to order a few more, as long as you’re in their namesake town. Or you could choose some of Chelsea Farms’ “Friends’ oysters” from the nicely manageable list, usually including Hama Hama. There’s more than oysters, of course. We tried a bouncy-soft, gently oceanic geoduck crudo — the prized giant clam also Chelsea Farms’ own — with an array of the freshest, smallest greens from the Olympia Farmers Market (as is most of the produce here). Grilled octopus avoided any chewiness, attaining a gorgeous toasty exterior while staying luxuriously tender inside, with a sprinkle of the Japanese spice mix togarashi for interest. A plate of seared scallops went even more directions, with sweet-pepper grits, heirloom tomato salsa and herby chimichurri — not a lot of textural differentiation, but each element very tasty, and the scallops ideally cooked, still sweet. Dapper, amiable general manager Cody Goodwin can be found regularly behind the bar. 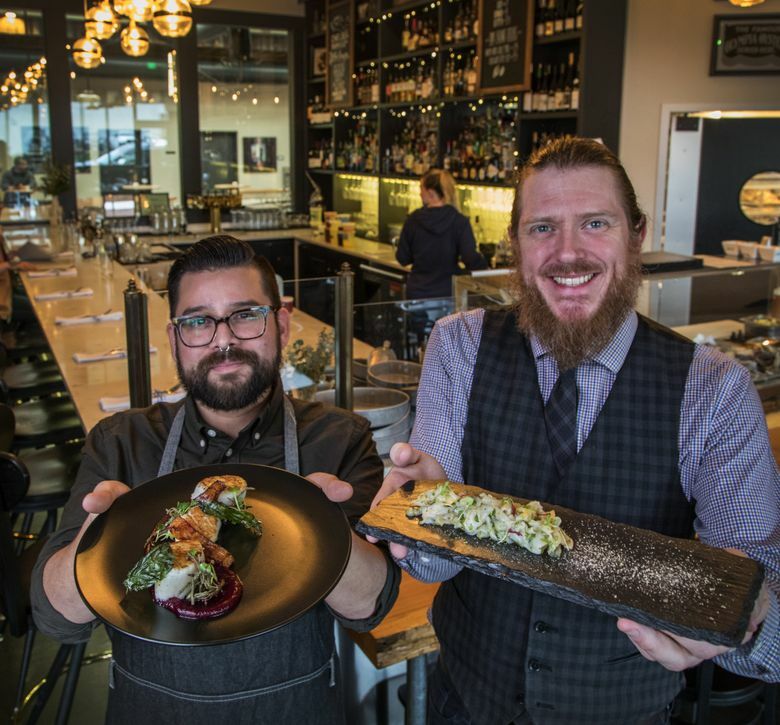 He comes from Seattle’s Single Shot and Tom Douglas Restaurants, boasts award-winning Manhattan-making skills and is a big fan of natural wines. Given his druthers, Goodwin would introduce you to unexpected shellfish pairings along the scotch, cognac and mezcal lines. Chelsea Farms Oyster Bar opened in December 2016, as the only place around of its kind. Even though she grew up there, Wysocki was nervous about how it’d be received. “Olympia has been really welcoming to us,” she says, relieved. Now you’re welcome to take an oyster field trip.